Whether you live in the suburbs, the country or an urban jungle, the outdoor space for your home should be relaxing and peaceful. The chairs, dining sets, rockers, swings and benches from Amish Originals can add comfort and durability to almost any outdoor space that you are looking to furnish. Made with treated pine or ultra-tough poly lumber, our outdoor products are built to withstand the elements, are easy to clean, and will be ready for use year after year. All of our outdoor furniture is available in a wide range of sizes or colors (poly lumber) to suit the décor needs for your home or business. And like all of our products, our outdoor furniture is made locally, in northeastern Ohio’s Amish country, by skilled craftsmen with a tradition of excellence. 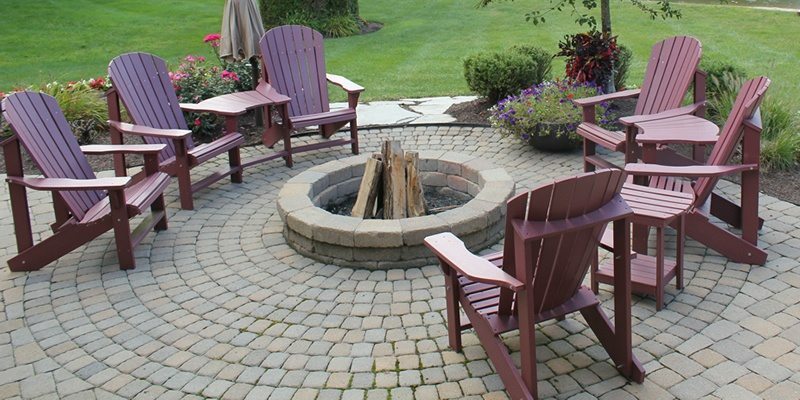 Stop by our showroom in Uptown Westerville, Ohio to learn more about how our outdoor furniture can meet the needs for your home—classic Adirondack styled chairs to circle a fire pit, a dining set for al fresco meals on the patio, or a traditional front porch swing to enjoy the comings and goings of your neighborhood—we can help you bring comfort, beauty and durability to your outdoor space.